Ashford Estate weddings are for brides looking for a sensuous, country wedding in a location that offers a certain level of sophistication that comes with estate weddings. Located in Allentown, New Jersey, and hidden in Monmouth County, the Ashford Estate is surrounded by acres of preserved farmland that makes for stunning wedding photographs. The wedding party and guests enter Ashford Estate by taking a small tree-lined road over to an antique, steel bridge where they come to massive iron gates that lead into the wedding venue. 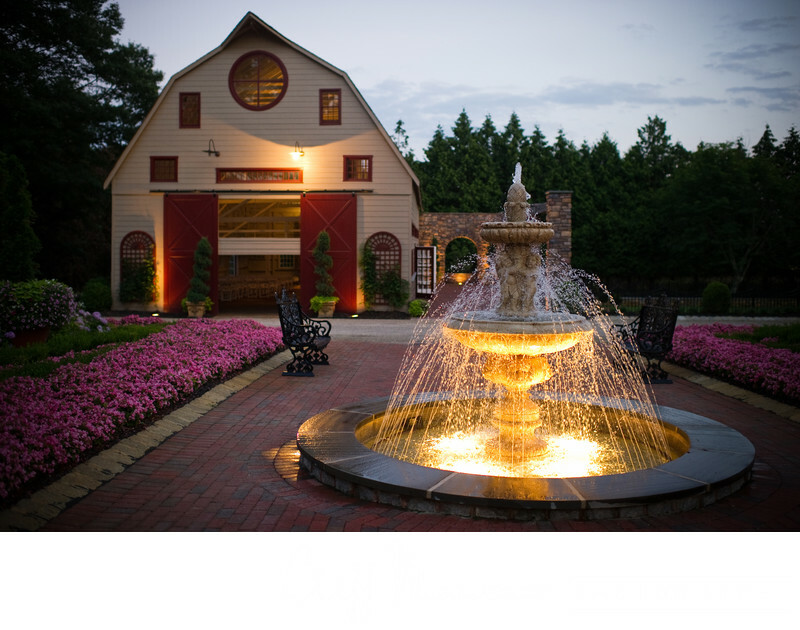 The architecture on this more than 30-acre wedding location includes the Barn Chapel, Carriage House and Grand Ballroom. Wedding Ceremonies can be held in a multitude of areas on the grounds, and even bad weather wont hinder the flow of the wedding day. The well-manicured scenery on the expansive grounds includes waterfalls, a floating gazebo, garden arbors, a stone bridge, stone ruins and beautiful fountains. Several of the structures have been restored to a pristine condition. A lake in the middle of the venue is visible from the cocktail location, while the conservatory on the grounds makes for a lovely spot that is protected from all the weather. The wooded areas, as well as the open wheat fields, make for stunning and dramatic backdrops. The barn wedding chapel has open ceilings and a stone fireplace; the large window allow for some incredible natural light. It’s a new construction that looks vintage, where the light pours in from windows along the sides. The carriage house is restored and it has the same look as European country estates. 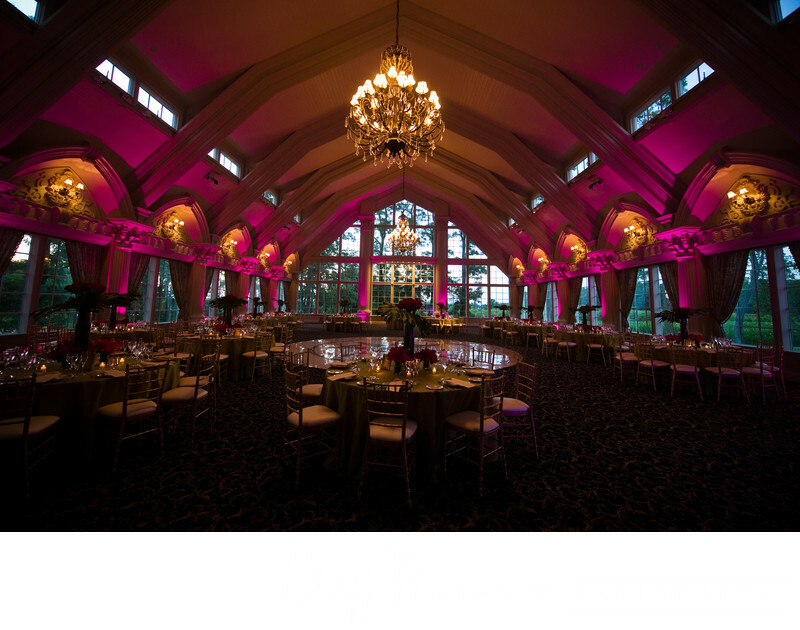 The ballroom is large, and the lighting creates a lovely ambiance. As a photographer, I love the Japanese Maple that sits in front of the mansion. An Ashford Estate wedding is unique for a wedding celebration because the flow of the day never feels cramped because there is space for every element of the wedding day. This place has a high-end feel from start to finish. It's truly perfect for couples looking for something other than a hotel or catering hall. Click here to view one of my favorite images from The Ashford Estate. 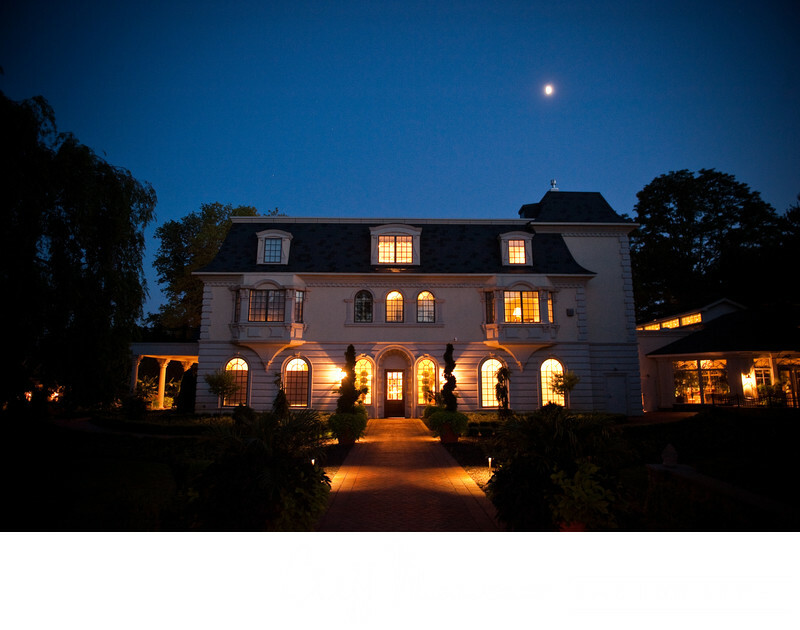 To learn more about this spectacular venue, click here.